Although you may not exactly feel excited about a tooth extraction, you’ll probably be very excited to leave the pain and embarrassment behind. With a damaged or diseased tooth gone, you can get dentures, dental implants, bridges, or other natural-looking and natural-feeling options if you need them. 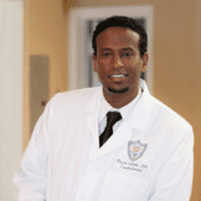 Tooth extraction with Mussie Sibhatu, DDS, MS, and the team at Laurel Smile Dentistry in Oakland, California, focuses on patient comfort first, so don’t fear this step in your journey to a new smile. Book online or by phone now. Sometimes, even baby teeth may need removal. If your child's baby tooth isn't lost on time, it could prevent the normal eruption of permanent teeth and potentially cause orthodontic issues later. Your dentist may recommend a baby tooth extraction if there's a danger to your child's long-term oral health. 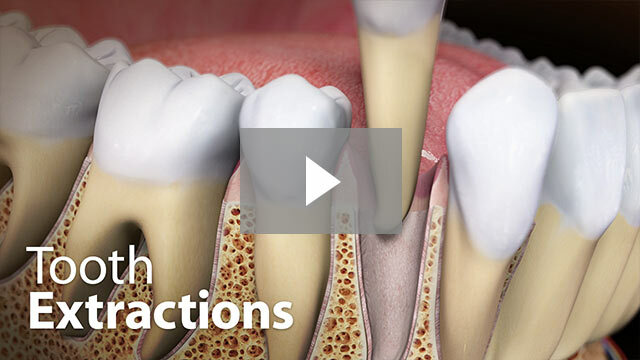 How does the tooth extraction process work? A low-radiation digital X-ray is the first step. This X-ray confirms the tooth damage or other problem and helps in planning an optimal extraction. Laurel Smile Dentistry also has intraoral cameras that allow you to view your mouth on a nearby monitor. Laurel Smile Dentistry typically uses local anesthesia to ensure your comfort during a tooth extraction. Inhaled nitrous oxide is another option. For more complex tooth extractions, or for multiple extractions in one procedure, your dentist may use another option like conscious sedation. In conscious sedation, you're awake but drowsy, and not in any pain at all. During the extraction, your dentist exercises great care to remove only the necessary tooth, avoiding damage to the jaw bone. If it's necessary to remove a small portion of the jaw bone to fully extract the tooth, your dentist may place bone-grafting material in its place. Having sufficient jaw bone is important for dental implants, so bone grafts are most common in tooth extractions in preparation for dental implants. After extraction, your dentist covers the empty socket with sterile gauze. They may also make small stitches in your gum tissue. What is recovery post-extraction like? You can expect some swelling after your tooth extraction, and you may have mild-to-moderate pain for a day or two. If your dentist prescribes antibiotics, take them until finished. Over-the-counter pain relievers or a prescription from your dentist can control the pain, but most patients feel much better within only a few days. Use online booking or call Laurel Smile Dentistry to schedule your tooth extraction now.